Memorial Day is a time to get together with family and friends, remember those who were dear to us, and celebrate the long weekend. Picnic baskets are dusted off and grills get fired-up. 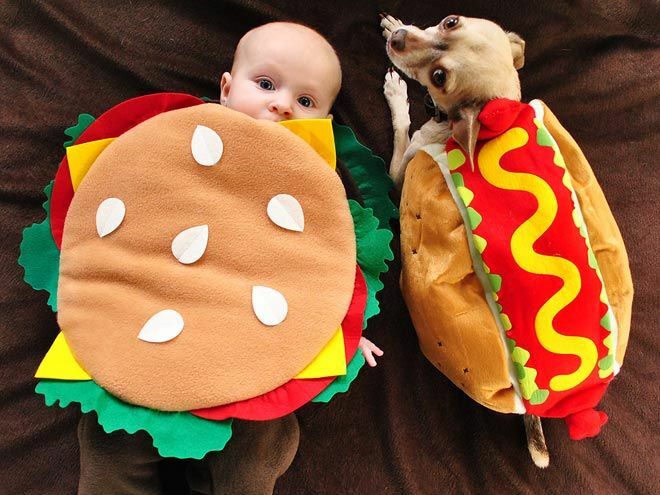 It’s the first food-oriented holiday of the year. But it doesn’t have to be a diet-wrecker. 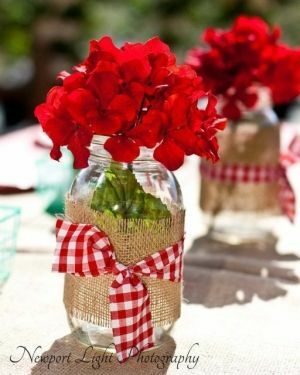 Here are 10 ideas to create and participate in the festivities with little or NO calories involved! 1. 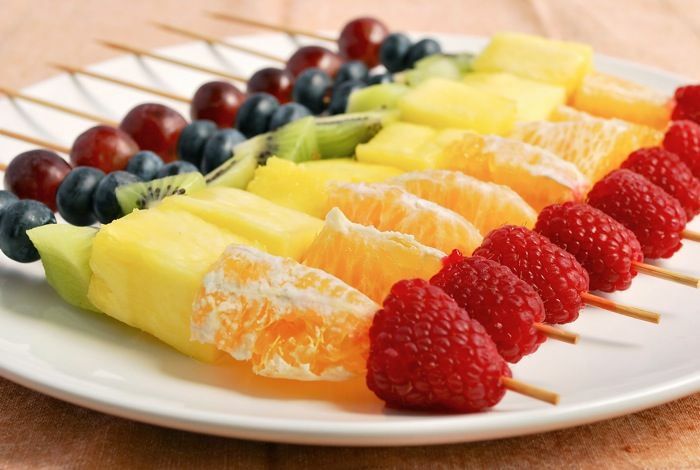 Start out with a refreshing fruit skewer. 2. 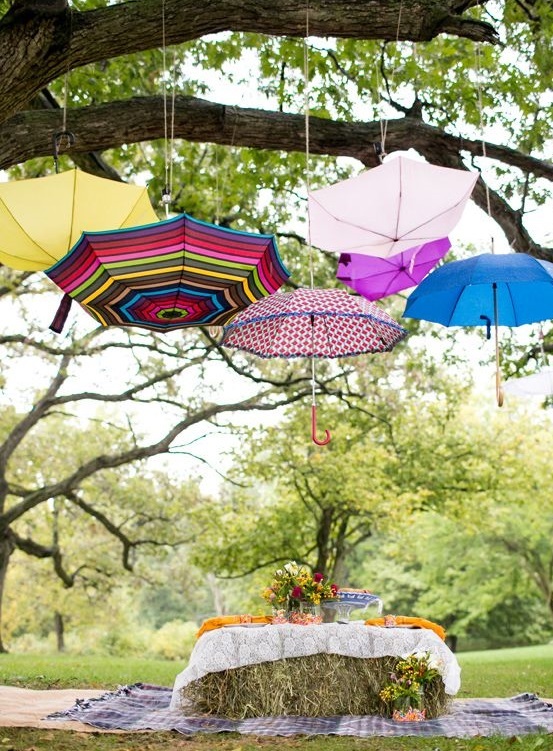 Protect the food from birds and elements in a whimsical way. 4. A side dish doesn’t have to be loaded with mayonnaise! Check out these individual caprese salads kabobs! Simply skewer little mozzarella balls that have been marinated in Italian dressing with basil leaves and grape tomatoes. 5. A crowd-pleasing punch. 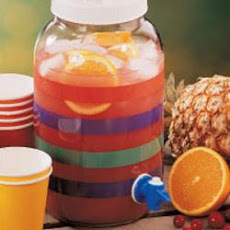 Fruit juice with some added ginger-ale keep this pretty punch at about 100 calories per serving. Substitute lo-cal cranberry juice for the regular and you’ll get the count down further without sacrificing taste. Click here for the recipe. 7. What’s a picnic without cupcakes? When looking for a lo-cal cupcake idea I came across the claim that mixing a can of diet soda with any cake mix made for good cake. I checked it out and saw numerous sources making the same claim. Apparently light diet sodas – 7-up, cream soda, etc. – mix well with white and yellow cake mixes. Dark diet sodas – colas, root beer, etc – mix well with chocolate. It doesn’t have to be diet soda, but obviously the calorie count goes up with regular. One combo highly touted was diet cream soda and orange cake mix for a creamsicle effect. 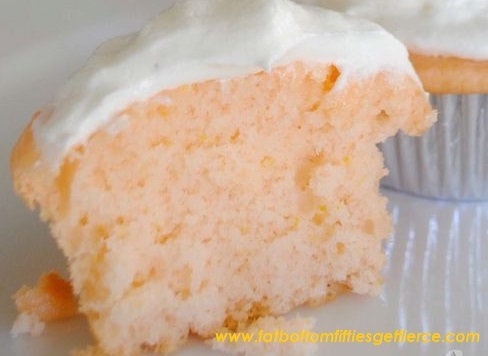 Several sites also made note that a cupcake mixed this way equals one Weight Watcher Point. I assume that varies depending on the frosting choice. 8. Need something crunchy? 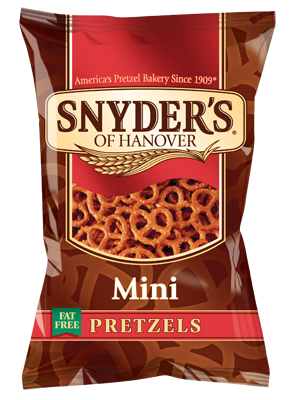 Switch mini pretzels for chips. About 40 calories less per serving, they are fat-free and take longer to eat which (hopefully) leads to eating less of them. 9. Photo Scavenger Hunt. Eating doesn’t have to be the only activity. How about setting up teams and sending them on a photo scavenger hunt? 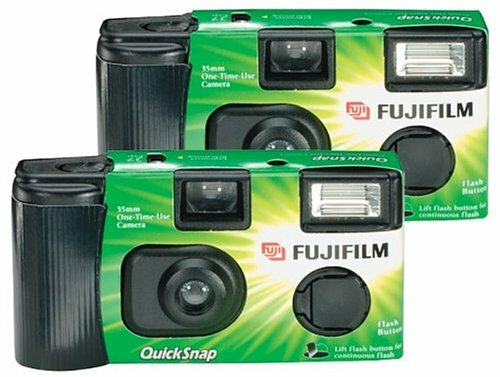 Instead of items they’re suppose to find, you send them off with disposable cameras (or if there’s enough people with phone cameras, even better) to take a list of predetermined shots. Such as: your team swinging on a swing set, your team next to a flowering bush, your team’s bare feet in a circle, etc. 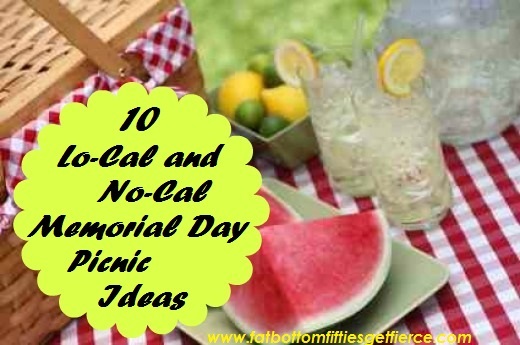 Scope out your picnic environment ahead of time to get your list. Click here for more expansive guidelines and suggestions. The winning team gets a prize. WE HOPE YOU HAVE A WONDERFUL MEMORIAL DAY WEEKEND!